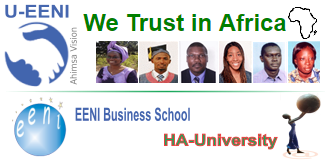 The mission of EENI Business School & HA University is to facilitate the access to the growing demand in Africa for higher education (Bachelor of Science, masters, courses and doctorates) that traditional universities cannot cover at affordable prices (€1,000/year/CFA Francs 655,957) for African people. 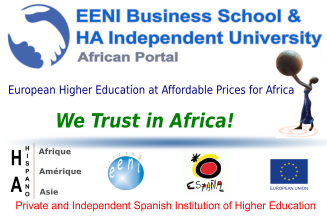 EENI Business School & HA University (Spain), founded in 1995, is a member of the Global Higher Education Network (U-EENI). 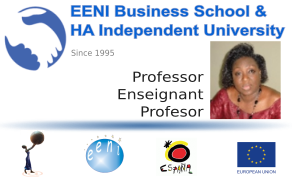 The figure of the Logotype of EENI Business School & HA University represents the African woman as the pillar of the African Economy. 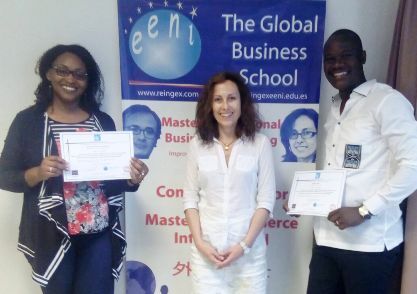 Headquarters of EENI Business School & HA University: Plaza Josep Sentís i Porta, 1 - 43002 Tarragona (Spain). Telef. 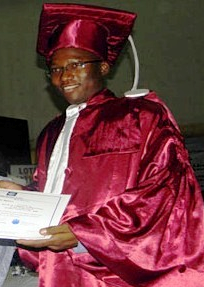 34-977 591673.